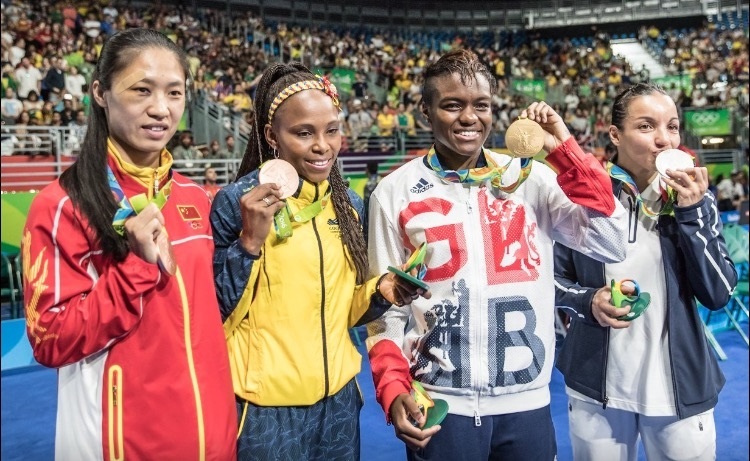 Nicola Adams has made history as she successfully defended her London 2012 Olympic title beating Sarah Ourahmoune of France in the women’s flyweight final. It was another spectacular display of boxing from the British boxer as she dominated throughout the first and second round. Adams picked her shots wisely and came out strong against the French boxer. Ourahmoune took the third round on the judges scorecards which left things very close going into the final round. Into the final round and Adams landed some great shots, upping her work rate to guarantee a win by unanimous decision. Adams is the first British boxer to retain their Olympic Games title since 1924. It was Harry Mallin who was the last British boxer to win two consecutive Olympic titles; Adams now follows in his footsteps. Adams told Team GB: “It feels absolutely amazing, especially to be able to think to myself that I’ve created history and I’m not the most accomplished British boxer of all time. “The route to gold was not easier this time. I had to qualify the same way as everyone else. It’s tough because everyone wants to go to the Olympic Games, so every time you beat someone you’re crushing their dreams. This evening GB Boxing’s super heavyweight, Joe Joyce is also looking to take home a gold medal. He faces Tony Yoka of France in tonight’s final at 1915 GMT.